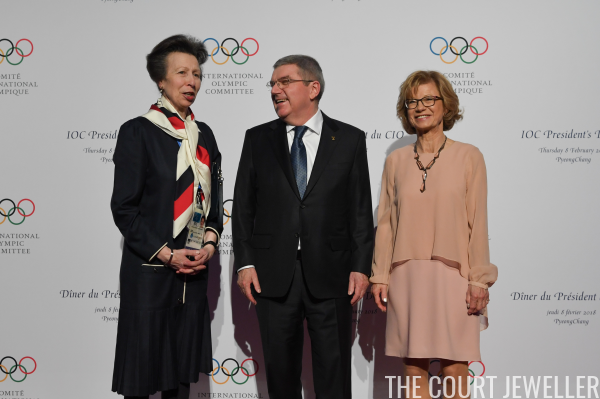 The Princess Royal, a member of the IOC (and a former Olympian herself! ), attended the President's Dinner at the Kensington Hotel in Pyeongchang on February 8. 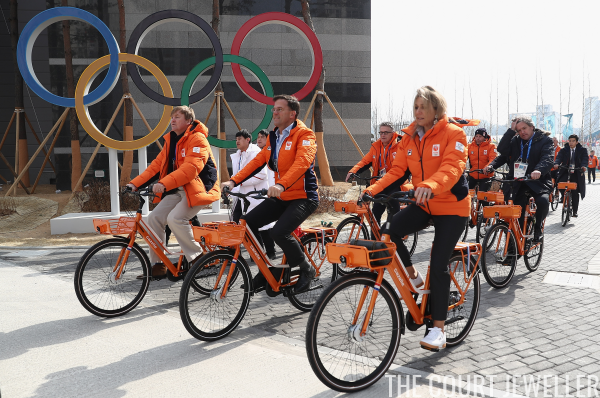 She's pictured here with Thomas Bach, President of the International Olympic Committee, and his wife, Claudia. 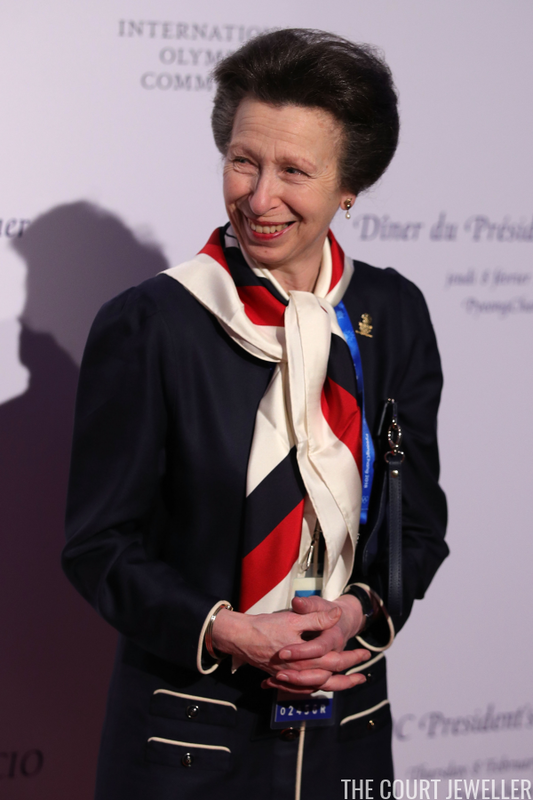 For the event, Anne wore her gold, sapphire, and pearl drop earrings, along with an Olympic pin. I also spy a bracelet on her right wrist. 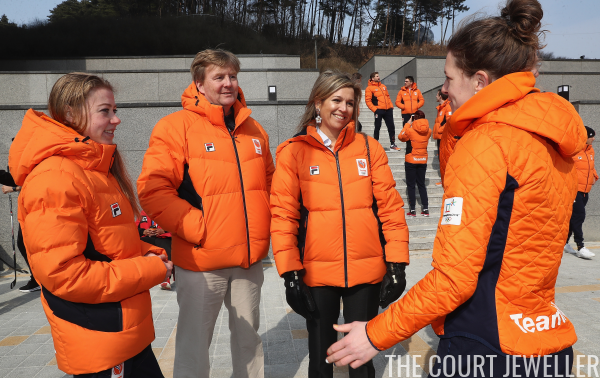 King Willem-Alexander and Queen Maxima of the Netherlands are always enthusiastic cheerleaders at the Olympics, and this year, they visited Dutch athletes at the Olympic Village on February 10. Maxima wore dramatic floral statement earrings with her patriotic attire. 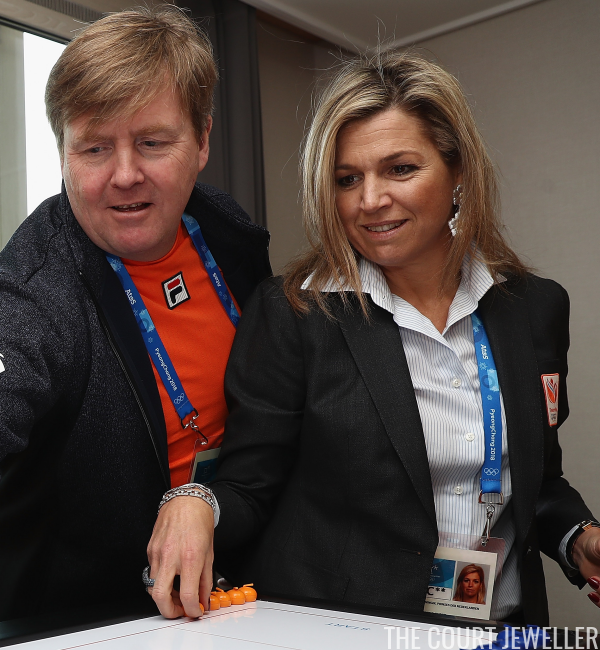 We also got a glimpse of bracelets and an interesting ring from Maxima as she tried her hand at a game.